Have you just changed your SC1 Ingersoll Cylinder, because you have lost the keys or have no keys at all? Or, you may have some cylinders lying around, without keys, and cylinders that do not work. Here at our North London Locksmith work shops, our engineers can undertake Rekeying Ingersoll cylinders as well as repairing them. Whether you bring them to our shop, or send them, we will undertake repairs to them, plus a rekeying service. Do you have an SC1 Ingersoll cylinder without keys, or, one that is not working. At our North London Locksmiths Ltd. workshops, we can rekey or repair them. Do you have one of these Ingersoll cylinders, without keys, even maybe it is not working. If you live local to our shop, then bring them in and we will Rekey them for you, as well as repair them. You can also send them to us and we will return them Rekeyed or repaired, within a few days. The cost to Rekey an SC1 cylinder, supplied with 3 keys will be approximately £25.00 a far difference from a new cylinder. If for some reason you would like to purchase a new SC1 Ingersoll Cylinder or complete lock, then why not visit our WEB SHOP, where we sell many types of locks at discounted prices. 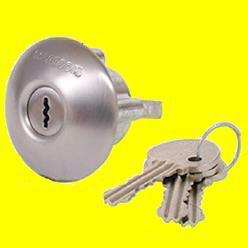 ALL INGERSOLL LOCKS SOLD ON OUR SITE, ARE GENUINE. 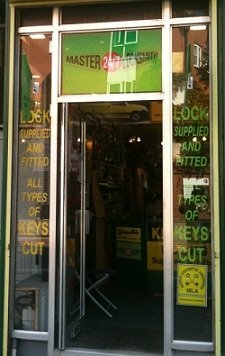 At our TRADITIONAL LOCKSMITH SHOP we undertake all forms of repairs to locks, plus making keys to them. This is an ideal scenario when you are unable to find a lock to fit into a door and keys have been lost. We will also make keys up to car ignitions and car door barrels, where keys have been lost. All locks and cylinders can be taken or sent to our shop, where we will repair them or Rekey them. We have a very fast turn around time. TRY US YOU WILL BE NOT DISAPPOINTED. Being Company Members or The Master Locksmith Association, you know we are a Company which can be trusted to give what they promise. 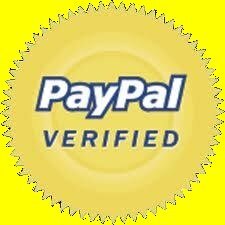 If you need a free estimate for any HOME SECURITY work or even for our SC1 Ingersoll Rekeying Service. Please fill in the form below and a member of North London Locksmith Ltd. 24 Hour will respond as soon as possible.